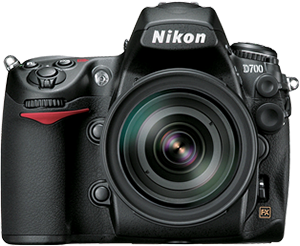 Nikon has released a firmware update for the Nikon D700 DSLR camera. The firmware fixes just one issue: the issue that, in some very rare cases, caused images to be extremely under-exposed. To verify you have the latest version of the firmware active, simply select “Firmware version” from the camera's setup menu. Firmware A should be version 1.03, and Firmware B should be version 1.02.